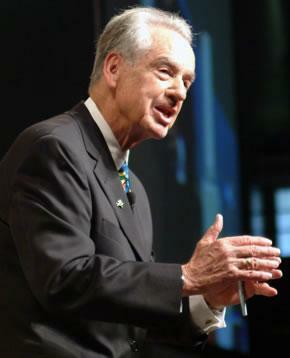 Zig Ziglar was born in 1926 in Coffee County, Alabama, United States. He is an American author, salesperson and a motivational speaker. He is over 80 years old and still travels around the world attending motivation seminars to help people get stuff done. Sometimes, a simple quote can change the way you see something, and that is what Zig Ziglar does so well. With all that said, enjoy the 7 quotes below and think about how you can apply them to your own life. Is there something that can be improved? What steps can you take today to improve what you already have? Being selfish in life might make you happy in the short-term, but sooner or later you’ll realize that what really matters is helping others. It is what brings joy into your life and gets you up in the morning. As I went from a professional poker player to a more service oriented business, I started feeling a lot better. I am by no means saying to neglect yourself, because if you do not help yourself, you cannot help others, so there’s always a fine line of balance. Everyone has at least one gift and one passion in this life, usually more. Sometimes we’re blind to what’s in front of us, and we need someone else to point out the obvious. It took me a long time to realize that I really liked writing. Writing is something that comes naturally to me, and I love it. If it is one of my riches I do not know, but for now it certainly seems like it. It is not your inherent ability that determines your success, but your attitude. I’ve seen people have everything delivered to them on a silver platter and fail miserably. They gave up at the first sign of trouble. I’ve also seen people succeed with very little. If you’re determined to succeed, you won’t stop until you do. That’s the way I learned to play poker, and that’s the way I’ve learned to make a living online. I didn’t see myself having any other option than to succeed. I really like what I do, and I wasn’t going to give it up easily. What kind of choices are you making today, and how will they affect your life one day, one month, one year, or ten years from now? Are you constantly avoiding because you’re afraid of what might happen? Are you waiting for the stars to align so you can go after your dreams? The decisions you make today are the ones that shape your life, so choose wisely. I failed a lot before I succeeded and started making a living online. Although failing hurts, I no longer look at it as defeat. I learn from each failure, and from each mistake I make. It may not be obvious what I’m learning all the time, but sooner or later it dawns on me. When you’re starting out with anything new, such as going after your passion and your dreams, you will make a lot of mistakes, and it will feel like you’re failing, but in reality, you’re making progress. This is an excellent quote, because a lot of people want to wait until things are perfect until they start going after their dreams. If you’re one of them, you most likely will be waiting your whole life. If you want to do something other than you’re doing now, then go after it, and start doing it in any little way you can. Stop waiting for permission. Stop waiting for things to work out. Start doing what you can do today, conquer your fears and take things from there. Adversity doesn’t feel nice, but it is sometimes just what you need in order to be successful. We don’t have a crystal ball, so we can’t really see that today’s adversity is tomorrow’s success .Don’t judge the mistakes you make, the failures you have and the adversity you run into, because you never know if all of those things lead to something wonderful. Written on 10/24/2010 by Henri Junttila. Henri is addicted to living a free and passionate life. He runs the Wake Up Cloud, where he shows you how you can learn how to find your passion and live consciously.